Eduardo Eurnekian, Samuel Pisar and Baruch Tenembaum. 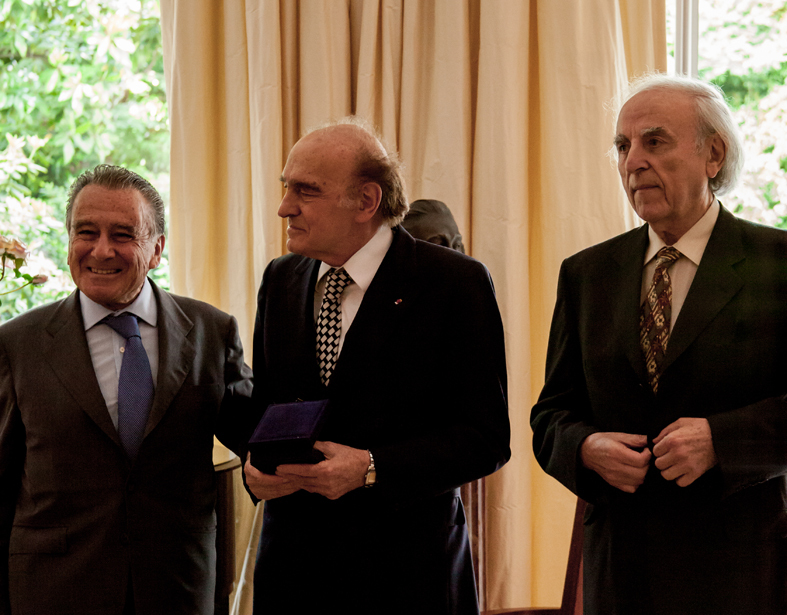 Samuel Pisar, celebrated international lawyer and survivor of the Holocaust, was awarded the Raoul Wallenberg Centennial Medal. 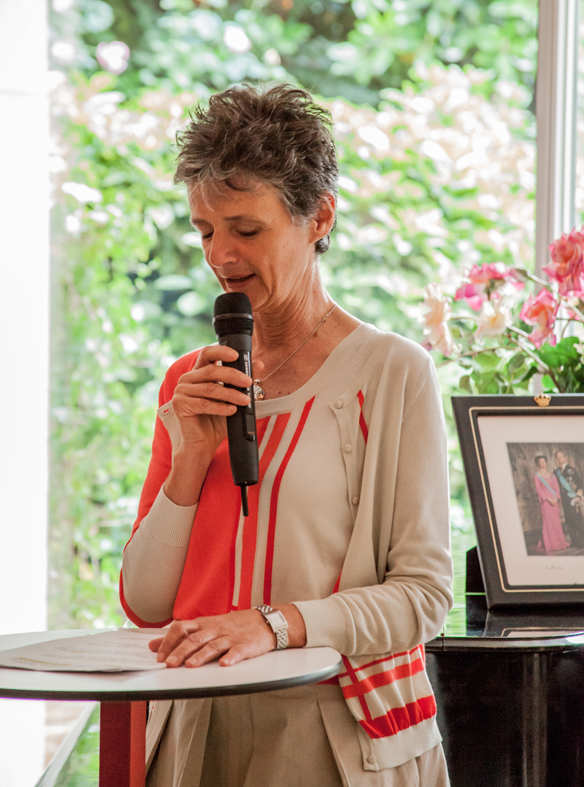 The ceremony took place on 24 June 2013 at the Embassy of Sweden in Paris. 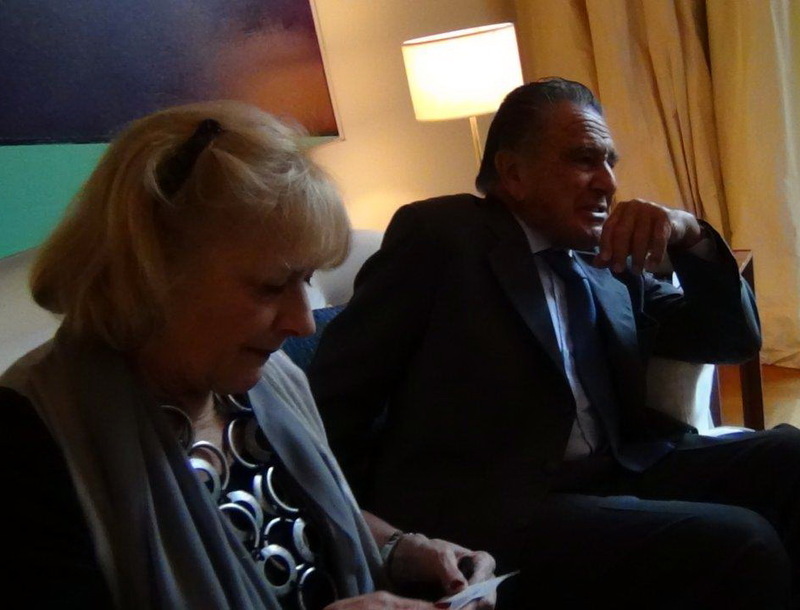 Eduardo Eurnekian and Baruch Tenenbaum, president and founder of the International Raoul Wallenberg Foundation, presented the accolade. The host of the evening was Ambassador Gunnar Lund and among the attendants were Louise von Dardel, niece of Raoul Wallenberg, Danny Rainer and Yoav Tenenbaum, vice presidents of the Wallenberg Foundation, Perla Graisman, IRWF Global Development Director, as well as diplomat, religious and community personalities. “Samuel Pisar inspires all the people of good will who are convinced that this world can be worth living in peace, harmony and respect. 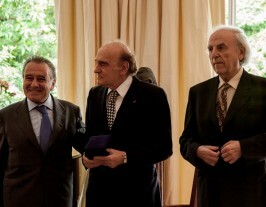 Both his life achievements and his literary production are a priceless legacy for present and future generations.”, said Eurnekian in his opening speech. Samuel Pisar was born in Byalistok, Poland, on 18 March 1929. He is an international lawyer and author who endured Soviet occupation and Nazi slavery in Auschwitz and other death camps, before emerging as one of the youngest survivors of the Holocaust. In 1961, he was voted American citizenship by a special Act of the US Congress, after serving as a member of President John F. Kennedy’s task force on foreign economic policy and adviser to the State Department and various committees of the Senate and the House of Representatives. A widely read author published in twenty languages, Pisar’s seminal work “Coexistence and Commerce: Transactions Between East and West” inspired Nixon’s and Kissinger’s policies toward China, the Soviet Union and Eastern Europe. Pisar’s autobiographical memoir, “Of Blood and Hope”, was acclaimed as “a powerful commentary on our times, touching the depths and heights of human experience”. Panoramic view of the meeting. He is Knight of the French Legion of Honor, an Officer of the Order of Arts and Letters, a Commander of Poland’s Order of Merit, an Officer of the Order of Australia and a recipient of other international distinctions and awards.